Soy protein is derived from the soya bean (Glycine max), which has been cultivated in Asia for centuries but has only recently begun to attain wide acceptance in the United States. In the natural product industry, soy has been a staple for years. Recently, soy protein has been recognized as a dietary ingredient that has tremendous potential benefit. Soy protein is used in many forms for its health benefits, but these claims have only recently been substantiated. Over the course of 20 years, more than 40 studies were conducted to gather human clinical data, which proved that soy helps to reduce the risk of heart disease, the number one killer in the United States. In October 1999, the United States Food and Drug Administration (FDA) allowed soy product manufacturers to claim that eating soy as a part of a low fat, low cholesterol diet may reduce the risk of coronary (heart) disease. The FDA recommendations are for 0.9 oz (25 g) of soy protein per day. The benefits of soy primarily come from its isoflavone content. Isoflavones are a type of antioxidant that combats cell damage. Genistein and daidzein, the isoflavones present in soy protein, possess antioxidant properties that protect LDL cholesterol from oxidation and are linked to the reduction of cholesterol levels in the blood. Studies have shown that soy protein reduced total cholesterol by 9.3% and lowered LDL (or “bad”) cholesterol by almost 13%. Soy also raised HDL (or “good”) cholesterol in the blood by over 2%. This result is due to the structure of the amino acid in soy protein. 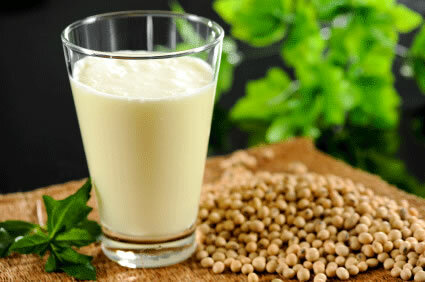 Soy protein differs from meat protein, and changes the way the liver creates and metabolizes cholesterol. Since high cholesterol levels are a major risk factor for the development of heart disease, the benefit of soy in reducing that health problem could be significant for a large segment of the population. Soy also contains phytoestrogens (plant hormones) that mimic the female hormone estrogen. This fact encourages promoters to tout the benefits of soy for relief of the symptoms of menopause. Studies show that eating 20 grams of soy daily for six weeks will help reduce hot flashes and other symptoms. Supporters also claim that soy may lower the risk of osteoporosis, Alzheimer’s disease, cancer, and kidney disease. Unlike the claim for lowering cholesterol, none of these have been conclusively proven, nor has soy received FDA approval for these uses. Because of the potential estrogenic effects of soy proteins, the British Dietetic Association has recommended that soy based infant formulas be used with extreme caution. Note that this warning is limited to soy protein and does not apply to other soybean products such as soy lecithin, which has been used as a cholesterol-lowering agent. The United States FDA and the German Commission E have placed no limits on the use of this soy product and consider it safe even for nursing mothers. Tofu is soy bean curd. It can be used as a meat substitute in many dishes. Soy milk is a beverage that can replace cow’s milk. Soy burgers are specially processed meat substitutes that use a base of soy protein. They may also contain vegetables, cheese, and spices to enhance flavor, but the primary base is usually soy. Some of these products may have a high salt content. Soy protein powders are used by mixing them into foods and beverages. 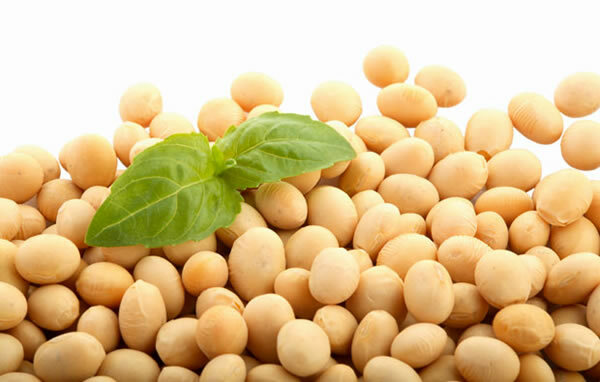 It is important for consumers to realize that the FDA has approved the cholesterol-lowering claim only for products containing “soy protein.” Products that are labeled “soy” in general, or isoflavone tablets, cannot make this claim. There is not enough evidence to support claims that soy isoflavones alone lower blood lipid levels or reduce the risk of heart disease. Research has indicated that isoflavones must be present along with soy protein for the cholesterol-lowering effect to take place. In addition, soy products must adhere to strict guidelines in order to make the claim that they are beneficial to a person’s health. One serving of a product must contain at least 6.25 grams of soy protein, no more than 20 mg of cholesterol, less than 1 gram of saturated fat, no more than 3 grams of total fat, and no more than 480 milligrams of sodium. Some soy products may not meet the standards for the FDA’s approval because they are too low in soy protein or too high in saturated fat. Some researchers warn that adding isoflavones to the diet of postmenopausal women may put them at risk for breast cancer . Researchers distinguish between soy protein and isoflavones, and warn that taking isoflavone supplements could result in overdose. A maximum safe level of isoflavones has not been established. In one study, 64 postmenopausal women who took soy protein supplements for one year showed a reduction in breast tenderness and fibrocystic disease. There is no concrete evidence of negative effects from incorporating additional food-based sources of soy protein into the diet. Soy allergies, however, are fairly common.